To develop a highly integrated hardware solution to minimize the footprint and support the integration of NFC technology in several form factors. MobileKnowledge has developed its own white label hardware solution to enable any form factor as a secure NFC wearable. The current hardware includes a highly optimized BLE System on Chip and a PN66T NFC solution from NXP, all in a six-layered, 10x15mm PCB. Bluetooth Low Energy connectivity allows us to manage the content of the secure element from any mobile platform available nowadays. The NFC solution supports the hosting of multiple payment cards and MIFARE® cards for transport, access and many other applications. MobileKnowledge has specified the hardware requirements, and also designed the schematic and gerber files for production of the PCB. The embedded software has also been developed internally and allows us to manage the secure element content using NXP’s Secure Element Management Service and MIFARE® Open Platform features. It also supports the air firmware update and several other features. All this is based on FreeRTOS. The overall system is optimized for minimum power consumption and optimum RF performance. 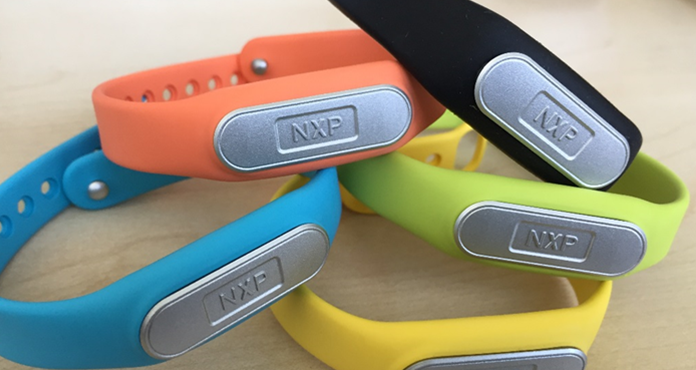 Sleek design for multiple NFC-secure applications geared to wearable devices manufacturers.